There were just 55,000 attendees over the course of the three-day weekend. The contract between Denver and Superfly allows for a maximum capacity of 80,000 per day. The City and County of Denver had a positive reaction too. It did, after all, get $840,000 out of Superfly, the same company behind some of the country’s biggest events like Bonnaroo and Outside Lands. Denver and Superfly entered a contract that lasts through 2020 though either party could choose to sit out whenever they’d like. So why is Superfly already exercising this right despite the positive vibes it’s putting off? We may never know. They haven’t answered questions from 9NEWS and the City and County of Denver can’t speak for the private company. Though, Jill Thiare with the Office of Special Events says she expects and hopes for Grandoozy to be back in 2020. The City and County would love to have them back. 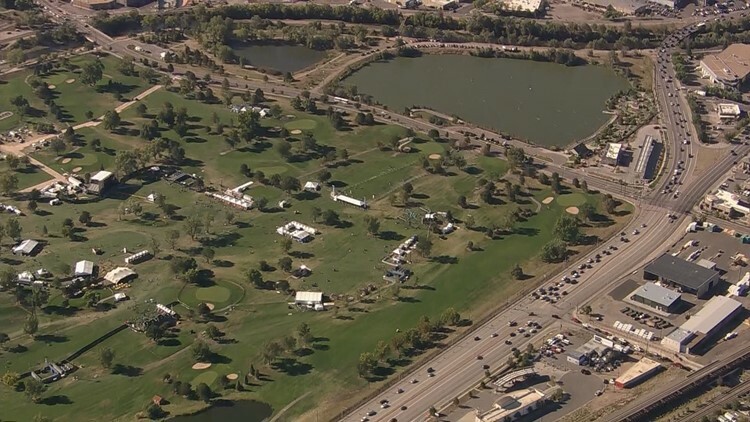 It used 30 percent of its payment to take care of costs associated with facilitating the event, such as paying the Denver Police Department. Thiare says the rest went to improvement on the golf course, city parks and the surrounding neighborhood. The take, great music. The give, drunk people urinating in his yard right off of Santa Fe Drive. A location another neighbor, Helene Orr, called a logistical problem. Orr also pointed out that there were just 55,000 attendees over the course of the three-day weekend. The contract between Denver and Superfly allows for a maximum capacity of 80,000 per day. “I think that if you are building a festival and you want to build it to greater numbers, chances are that taking a year off is not a great way to build momentum,” she said. Superfly has backed out of events before, most recently cancelling the 2018 Lost Lake in Phoenix four months before the scheduled event and after confirming big named artists. 9NEWS’ sister station in Phoenix cited poor ticket sales in 2017 as the reason. That festival only managed 45,000 attendees over three days.